Bazuka Sub Zero Review: Does FREEZE Treatment WORK or.. ? Bazuka Sub Zero Review: Does Freeze Treatment Work? Bazuka Sub Zero is an over the counter product that allows ‘Freeze’ treatment of warts and verrucas at home – based on the Cryotherapy method used by doctors and dermatologists to remove surface skin lesions. Let’s comprehensively review through Bazuka sub zero freeze wart remover, bazuka sub zero instructions, does bazuka sub zero work, and what are the other alternate wart removal products for comparison. Cryotherapy, also called Cryosurgery, refers to a treatment in which surface skin lesions like warts are frozen and destroyed using liquid nitrogen. Doctor or dermatologist first applies liquid nitrogen to and around the warts to freeze the tissue, then the tissue is allowed to thaw. The time of application alongside the number and length of freeze/thaw cycles vary by the doctor who applies the liquid nitrogen, the size and thickness of the warts. Several treatments may be required. Cryotherapy is usually performed in doctor’s office, in which the patient may have a mild to moderate burning sensation during the treatment, with scarring is a risk. Manufactured in UK, Bazuka Sub Zero works by freezing the wart or verruca to cause the formation of a blister underneath the wart or verruca which helps it to loosen and fall off, often within a couple of weeks or so of freezing, revealing the new and healthy skin underneath. Bazuka Sub-Zero is generally suitable for adults, the elderly and children at least 4 years old. • a special dome-shaped safety cap, imprinted with ON and OFF on opposite sides, which is used to ‘charge’ the foam applicator with the freezing agent. 2. Before freezing, soak the wart or verruca in warm water for a few minutes to make it more susceptible to treatment. After drying, gently file it with an emery board or pumice stone. 3. Freeze the wart at fortnightly intervals. If you have several warts or verrucas located close to one another, freeze the warts separately, one at a time. 4. When freezing warts or verrucas on the back of the hands or on the top of the feet and toes, be especially careful not to freeze for too long, and wiggle the fingers or toes gently during freezing. Bazuka Sub Zero For Genital Warts / Skin Tags? As indicated in the product instruction leaflet, Bazuka Sub Zero is for treatment of warts and verrucas. It is not recommended to use Bazuka Sub Zero off-label for skin tag removal, while you are advised not to ‘freeze’ your genital warts by yourself but should choose other safer option – like genital wart removal cream instead. Does Bazuka Sub Zero Freeze Treatment Work? The customer reviews on Bazuka Sub Zero has been mixed, with examples of positive reviews as below. What Are The Other Over-The-Counter Wart Remover Options? As the Bazuka Sub Zero reviews and consumer feedback have been mixed, let’s compare Bazuka Sub Zero with some of the alternate OTC wart removal solutions for consideration. Refer below, or check out this comprehensive OTC wart remover guide for you to make an educated decision. For those who are looking for OTC product that allows ‘Freeze’ treatment of warts at home, Dr Scholl Freeze Away Wart Remover as top selling freeze wart remover at Amazon is a better option than Bazuka Sub Zero. Nevi-Skin is a topical cream formulated with natural herbal extracts for removal of plantar warts (verrucas), common warts, mosaic warts, and genital warts. 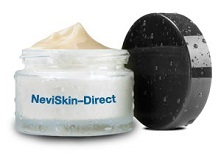 Nevi-Skin cream is also formulated to treat moles on the skin and face, skin tags and syringoma. 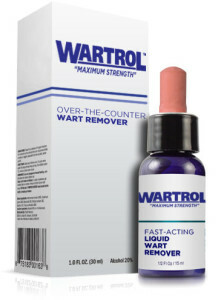 The Wartrol “Maximum Strength” OTC fast-acting liquid wart remover is formulated with 17% Salicylic acid as active ingredient, and inactive ingredients such as Ethyl alcohol and Menthol etc. Wartrol is formulated to remove plantar warts (verrucas), common warts, and flat warts. 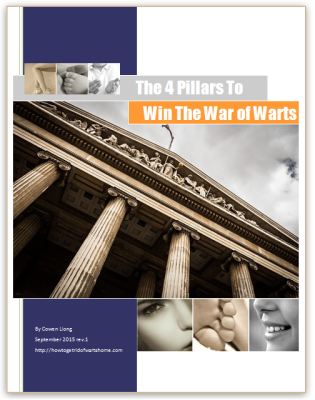 >> Check out comprehensive Wartrol review. Bazuka Sub Zero is a home use ‘freeze’ treatment for warts and verrucas based on the cryotherapy method used by doctors. As there are mixed feedback on Bazuka Sub Zero’ effectiveness in warts and verruca treatment, recommend to explore other OTC wart remover options for comparison before making purchase decision.